Some weeks ago, I had a small job which led me out of the WordPress cosmos. 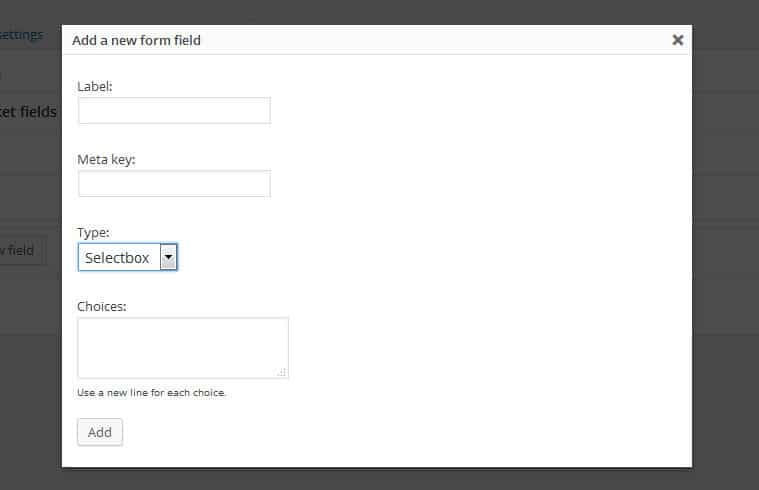 Basically I had to adjust a running webpage on which a ticket support system was included. I immediately missed a lot of the nice filters and features WordPress comes along and which are usually used by plugin and theme developers. 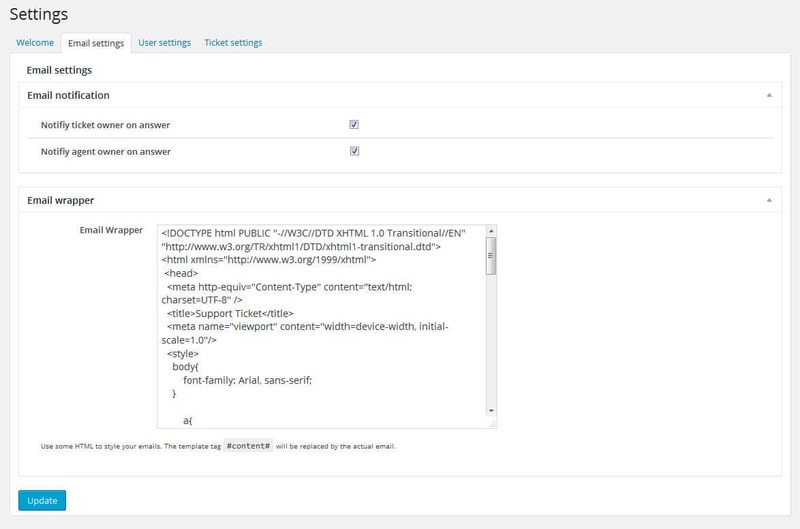 The support ticket system had its own templating system but was lacking basic requirements. So the menu was generated automatically and you had to change either the core code or the language files (which I decided to do) to have the “Home”-Link called “Home”. And this was just one of the disadvantages which bugged me. I got quite annoyed with the system and continued to talk about the advantages of WordPress, but we had to stick to a solution out of WordPress. Anyway, after I finished my job, I decided to go for my own support ticket system and write the WordPress plugin, I would have dreamt of working on. I am very happy to announce WP Support Ticket is now an official member of the WordPress repository family. Of course, I started to work on my plugin even before I had a close look into the repository, I guess that’s the developers approach. So, after I was almost done, I started my research on what plugins are already on the market. Of course, there are already some nice plugins out there and compared to them, my support ticket plugin lacks some features. But my central goal was to create a plugin where almost every setting and functionality can be somehow overwritten by add ons. So there are dozens of action and filter hooks, which I describe in the plugins codex and which enables developers to create plugins on top of my support ticket software. And of course, I have already a small roadmap in mind, where to head next and which other features to include. And I already start to keep track of some minor bugs, which I will solve the next days. For example: The plugin is fully translateable and comes already with a German translation. The table overview has status classes. A closed ticket would have the class “close”, but unfortunatly, the plugin translates this right now, so the class won’t be applied. You know, these kind of bugs. 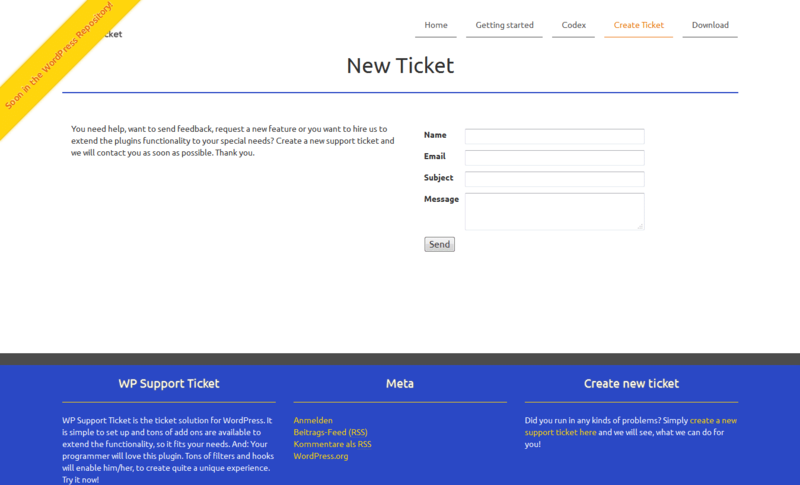 Here, you see all the tickets in the backend. You can create textfields and selectboxes, so your users can for example leave the order ID or the product name in question. So, anyway: Happy to announce my latest plugin, a lot of work has been done and much more is to come. If you are interested in a flexible support ticket solution for WordPress, you should definitely have a look.